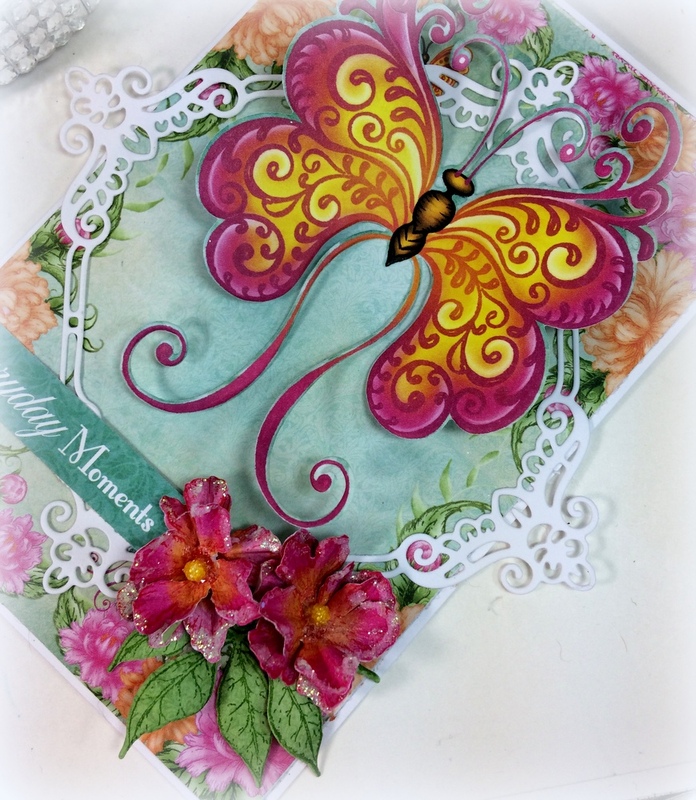 To create this card you score your card to 4×6. Then cut one of the mini sheets of patterned paper which will be the card front. Adhere it your cardstock. 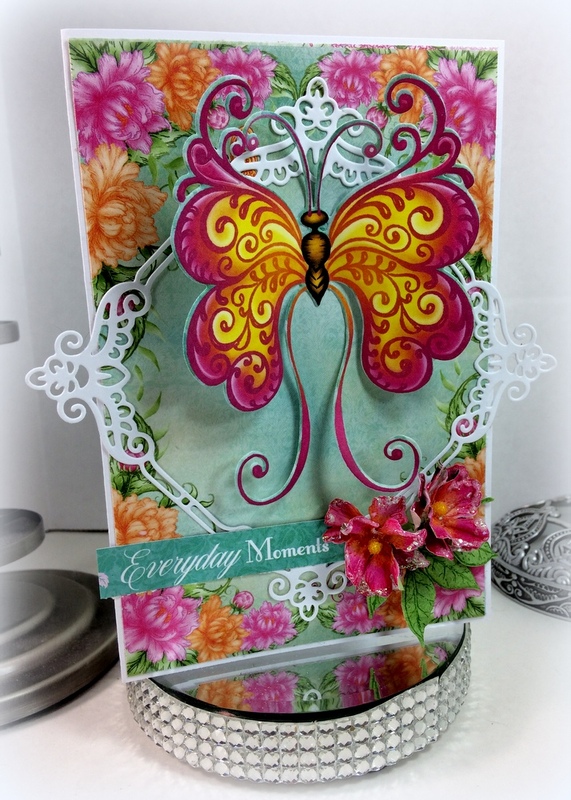 Take your fluttering butterfly die and diecut the pink and yellow butterfly form the 12×12 patterned piece of paper. Glue it to the center of your card front.